Billy Gordon ran a strong campaign which will be a strong platform for him if he is pre selected for the next election. An article below in the First Nations Telegraph news highlights the 35% swing against Entsch. Re-elected Leichhardt MP Warren Entsch says he will work to repair relations with Indigenous communities after a strong swing against him on Cape York in far north Queensland in Saturday’s election. Mr Entsch has retained the seat, despite the LNP’s primary vote diving by about 35 per cent in places like Bamaga and Lockhart River. 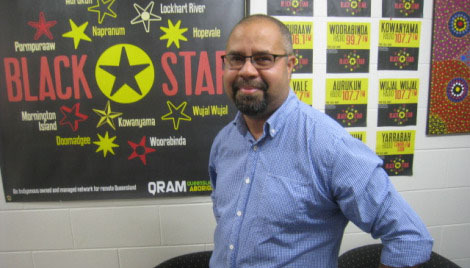 He says, as reported in ABC News, there was widespread anger after Prime Minister-elect Tony Abbott pledged support for Indigenous leader Noel Pearson’s policy ideas and referred to him as a prophet. “There was a lot of anger, if you like, from the popularly elected mayors up there who felt that they’d been overlooked,” he said. “There was criticism against me as the Member because they assumed I’d had some discussion with Tony and they didn’t feel that I’d argued against it, which I always have.” Cook Shire Mayor Peter Scott he is confident Cape York will benefit from the election result, despite the strong swing against Mr Entsch. He says he is encouraged by the Coalition’s pro-business stance. “None of us are environmental vandals up here and we know what we’ve got up here and what’s precious to us,” he said.